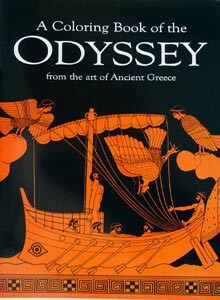 A Coloring Book of the Odyssey (From the art of Ancient Greece.) The greatest trip the world has ever known, all from ancient art. From Bellerophon Books.